The revamped cinema is set to reopen by the summer. THE DOORS OF the much loved Stella cinema in Rathmines are set to open once again after being shut for over a decade. The revamped cinema is set to reopen by the summer and show a mix of mainly blockbuster movies with some art house films. The cinema is being described as ‘one-of-a-kind’ offering luxury seating, food and a cocktail bar. The Stella cinema was built in 1923 and once had the capacity to hold almost 1,300 people. It was converted to a two screen theatre in the 80s and closed its doors in 2004. 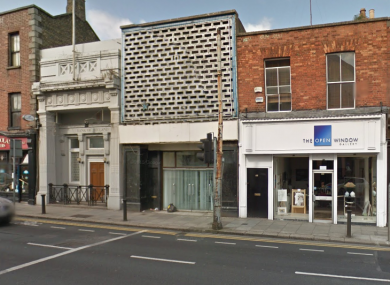 The cinema was put up for auction with a guide price of €1.75 million in 2015 and has since been taken over by the Press Up Entertainment group. The refurbishment will return The Stella to her former glory, with a one-of-a-kind cinema featuring luxury seating, food and a cocktail bar. Mainly blockbuster movies will be shown, the opening date will be confirmed in the coming months. The group owns twenty six businesses in Ireland including The Workman’s Club, The Clarence, The Dean, Wowburger and Wagamama. Email “Stella Cinema set to reopen its doors after 12 years ”. Feedback on “Stella Cinema set to reopen its doors after 12 years ”.